If You Think Open Tunings Are Like Having To Learn Guitar All Over Again, STOP! I’ll Have You Up And Playing, And Sounding Great, Within Minutes, Using DADGAD Tuning. Are you wanting to take a MASSIVE leap forward with your creativity on the acoustic guitar? One of the best ways you can do this is to explore and play in an open tuning such as DADGAD. Contrary to popular belief, learning your guitar in a different tuning is NOT like having to learn to play all over again. In fact, open tunings, such as DADGAD, are designed to set your guitar up to make it EASIER to play in a particular way. 5 ways you can INSTANTLY sound great, right now, playing your guitar in DADGAD tuning! 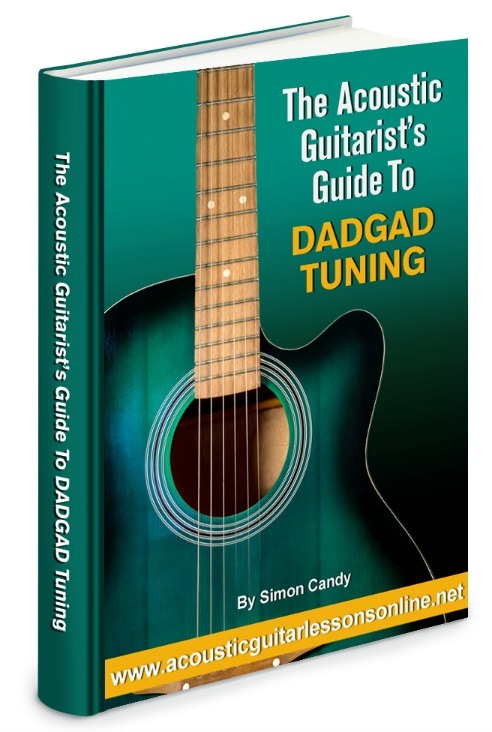 Get free instant access to “The Acoustic Guitarists Guide To DADGAD Tuning” now. Simply fill out the easy form below, then click the “Give Me Access Now” button.